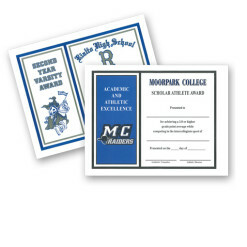 No awards program is complete without certificates to honor your students. 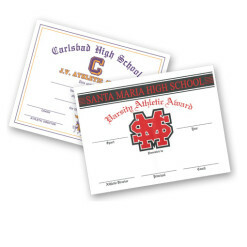 From graduation diplomas to athletic achievements, we offer digital printed certificates on leatherette, parchment or white card stock. 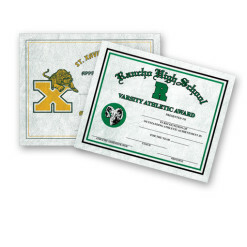 With the promise of no set-up fees, quick turnaround, customization and quality you can trust, US Awards is the choice of schools across the country for reliable products to recognize students and their achievements.